Its a bold equation I know, but actually it is based on facts. Most people would accept that Global Warming which is the steady increase of the earthʼs surface temperature, is the result of the sunʼs radiation and human-caused emissions of greenhouse gases such as CO2, methane and ozone. The effect on the world of global warming, is higher air temperatures and rising sea levels. Further repercussions are changing and more severe weather patterns resulting in floods, droughts, heat-waves and tornados, polar ice caps melting, deteriorating agricultural yields, reduced stream flows and species extinction. 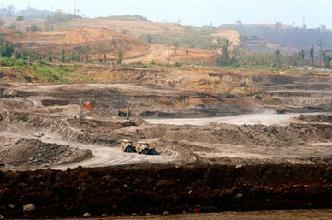 Indonesia is acknowledged as the worlds third largest emitter of greenhouse gasses, after China and the USA according to a report commissioned by the World Bank in 2007, of which 80% is from changed land use following deforestation and fire. 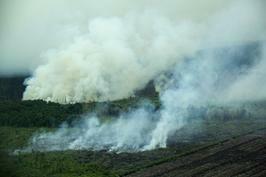 Deforestation and resulting burning, contributes to approximately 20% of the world’s greenhouse gases. 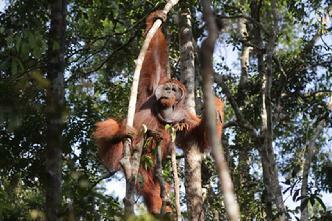 The main cause for deforestation in Indonesia today is to make way for palm oil plantations. 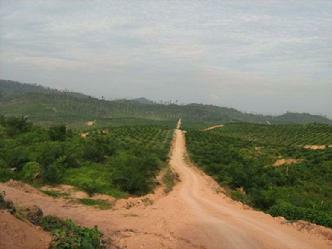 They are one of the two largest palm oil producers in the world and their intention is to increase production over the next few years. “Forests offer the single largest opportunity for cost-effective and immediate reductions of carbon emissions. This is confirmed by the Stern Report of 2006, and the McKinsey and IPCC Reports of 2007. Itʼs not just about carbon! Forests are giant global utilities, supplying humanity with vital ecosystem services such as rainfall generation and biodiversity maintenance at local, regional and global scales. 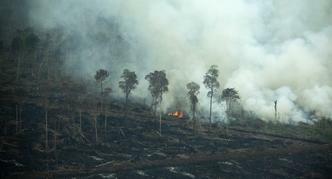 International demand inexorably drives deforestation worldwide, and conservation has proven no match for commerce. 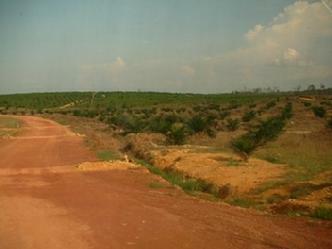 Regulated carbon markets which could provide the economic incentives to halt this process currently exclude forests. The next 18 months are critical for rainforests and climate change policy, because it is now that the G8 and United Nations are establishing their priorities in the lead up to the renegotiation of the Kyoto Protocol. 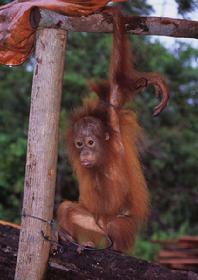 The only way to save the orangutan in the wild is by saving and protecting its rainforest habitat. If we can do that we will at the same time, have taken a huge step towards reducing global warming - the two issues are inextricably linked. We need to take note and take action immediately. 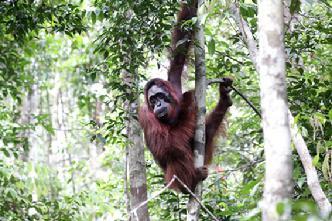 Rainforest destroyed for oil palm plantations. 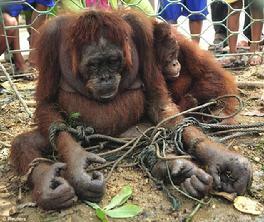 Images - Orangutan Foundation UK.